October seems a pretty good time to be running a Kickstarter that's just loaded to the gills with undead. 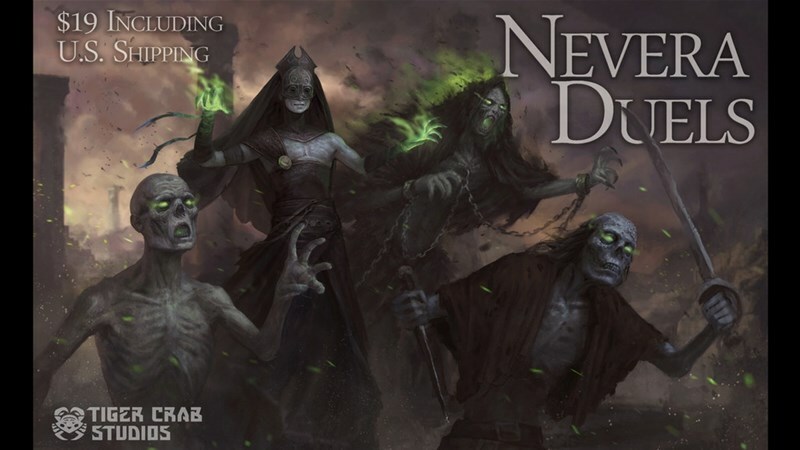 Nevera Duels has you playing as a necromancer, looking to build your invincible army of the undead. However, you're not the only one out there reanimating corpses. Beat your opponent to the punch and make sure you're the one on heap of bones at the end. The campaign's about 1/3 of its way to its goal with still 28 days left to go.